This program will teach you how to apply efficient procedures that help you determine whether training or something else is the solution to the performance problems, and you will return to your work possessing the essential skills and the confidence sufficient to succeed in analyzing the training needs. This program is prepared for all trainers, analysts, training designers, training managers and performance consultants. Perform the four steps of the training needs’ analysis process. Verify the readiness of the staff to conduct a self-evaluation. Look for people with extensive ties throughout the company. Identify when training is needed and when it is not. Isolate training problems from other problems. Determine the cost and the benefits resulting from training. Find variations rapidly and easily. Design interviews and perform them. Plan for surveys and conduct them. Determine performance problems and opportunities. Verify the reasons for the performance problems. Calculate the training cost and its return. Calculate the return on investment. Write the final report addressed to the administration. Deal with tight deadlines and according to the budget and the staff. What an analyst of training needs should do. The three essential administrative issues that should be taken into consideration before the start of the process. 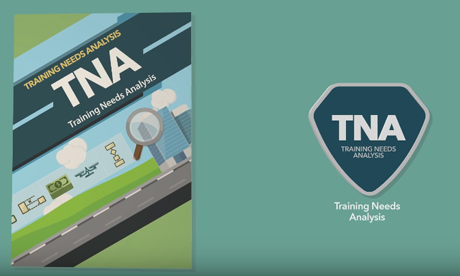 Five types of training needs’ analysis. Eleven reasons that make us carry out the training needs’ analysis. The four steps of the training needs’ analysis process. Eleven lists that help you to identify the dimensions of your task in the needs analysis. Eight forms for the essential components’ structure in the training needs’ analysis process. Eight important tips for succeeding in the process. Nine points to verify the readiness of the staff to conduct self-assessment. How to look for people with extensive ties throughout the company. Thirty two motives for the change process launchers. Tools can help you find variations rapidly and easily. Eleven possible sources to get information on work assignments. Techniques to study the needs of individuals and institutions. How to plan for surveys and conduct them. Ten procedures to manage discussion among colleagues using the skills statement form. Important tips to ensure a high rate of return on investment. Many ready-made models for the identification of training needs in administrative development. How to determine performance problems and opportunities. The factors affecting performance at work. How to distinguish between the performance problems that require training and others that are not solved by training. How to isolate training problems from other problems. Checklists to analyze training needs. How to analyze the economic feasibility. Many techniques to calculate the training cost and its return. How to write the final report. How to deal with tight deadlines. What to do in case of limited budget and staff. What to do in case of sufficient budget and staff.